Investigators looking at the optimal timing of influenza vaccinations in older adults found that waiting until October to vaccinate would prevent over 11,400 cases of influenza—provided that the same number of people receive the vaccine. However, an early peak to flu season or decreased flu vaccine uptake could counter those positive effects. 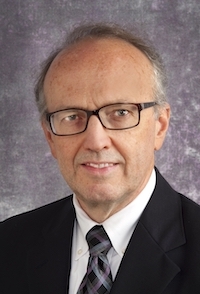 Investigators, led by Kenneth J. Smith, MD, MS, Professor, Division of General Internal Medicine, University of Pittsburgh School of Medicine, noted that previous studies have shown that the effectiveness of the influenza vaccine decreases by 6%−11% per month. This means a vaccination in August is less protective than one in October by the time peak flu season arrives, usually December to April. "There’s controversy in the public health community about whether influenza vaccination should happen as soon as the vaccine becomes available in August, or if it’s better to wait until later in the fall because of waning protection from the flu shot as the season progresses," Smith told MD Magazine®. Smith emphasized the potential risks of deciding to wait until October to vaccinate a patient that's already in the office for a visit. "If there are any doubts whether a patient will return, vaccinate them when you can, whenever that is," he said. Smith and colleagues used data from the 2013-2014 and 2014-2015 flu seasons to run computer models comparing a compressed vaccination strategy, where vaccinations begin in October, to the status quo vaccination, which typically begins in August. They focused on older adults who are at greater risk of catching the flu when vaccine effectiveness wanes and who are more likely to get influenza vaccines early compared to younger adults. With data from 2014-2015, the investigators found that in an influenza season with a typical February peak and no difference in vaccination rates, the compressed vaccination strategy reduced cases of flu by 11,423 among people ≥65 years of age in the US. The model also predicted 481 fewer hospitalizations and 134 fewer deaths. In a scenario built on 2013-2014 data, compressed vaccination reduced influenza cases by 17,503, hospitalizations by 737, and deaths by 205. However, when models were run for an early peak, in December, the 2013-2014 data produced an increase in cases, hospitalizations, and deaths. In that scenario, compressed vaccination resulted in 9216 more cases, 108 more hospitalizations, and 388 more deaths. For the 2014-2015 data, the model predicted and increase of 1504 cases, 18 hospitalizations, and 63 deaths. A late peak to flu season—in April—produced reductions similar to the February peak scenario for the 2013-2014 and 2014-2015 data sets, with reductions of 22,062 and 11,480 influenza cases, 929 and 483 hospitalizations, and 258 and 134 deaths, respectively. Additionally, the models showed that when compressed vaccination decreased absolute vaccine uptake by at least 5.5%, it was never better than status quo vaccination. For the 2014-2015 data, where H3N2 was the predominant strain, there were more influenza cases when the overall vaccine update decreased >3.5 percentage points (from 65.3% to <61.8%). For the 2013-2014 data, where H1N1 was predominant, vaccine uptake only has to be reduced by ≥2.5 points for more cases to occur with the compressed strategy. "In any situation, vaccination is the best way to prevent influenza," said Smith. "If the choice is between early immunization or not at all, vaccinating early is definitely better." The study, “Compressed Influenza Vaccination in US Older Adults: A Decision Analysis,” was published in American Journal of Preventive Medicine.